I think most people like music, that is why music industrial business earn big money. I use computer a lot, of course I download music from internet very often. I also like listen music by some music sites, like internet radio. If I do not want put too much music into my hard drive I prefer use some online internet radio stations to listen new music. 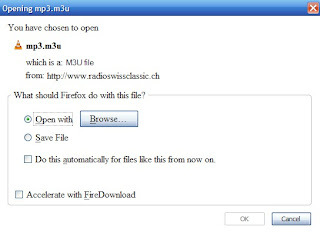 How to listen music via internet radio station easily? 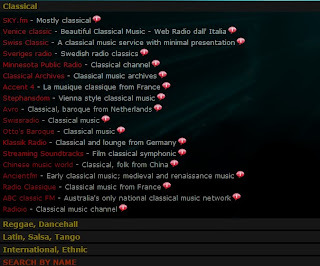 Actually, it is very easy to find some main internet radio stations online, but today I want talk about some small but very good internet radio stations. Filter Music is a small site, its interface I called it is ugly. But I admit it is very useful that can help you to listen music. Actually, it does not store or host any radio station, it only offers links that makes you very easy use some media players to play them, like iTune, VLC Media Player, Winamp, and you do not have go anywhere. So, you can browse all kind of music, choose one which you like, open a sheet that display some radio stations. Be careful, if you have these media players and want listen to music directly you can click front red part, it can opens a small window you have to choose which player you like, then it can open your media player. It is easy and useful. You can browse different radio stations and listen to different music with your favorite media player. Make sure you have to use high speed internet access like cable, DSL.